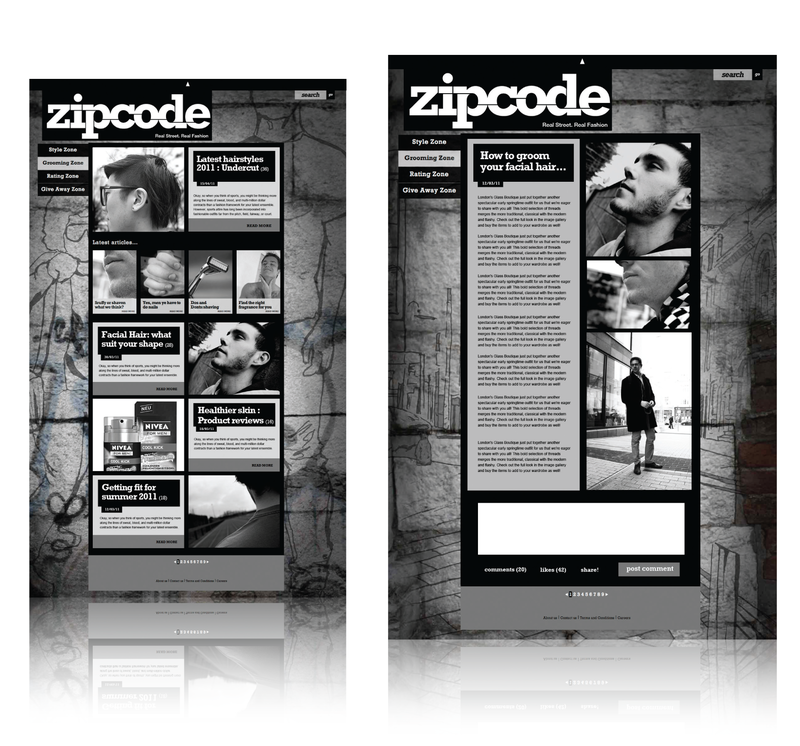 A mens fashion online magazine that introduces custom content and crowd-sourcing to bring the site alive for its audience of 18-30 year old males. 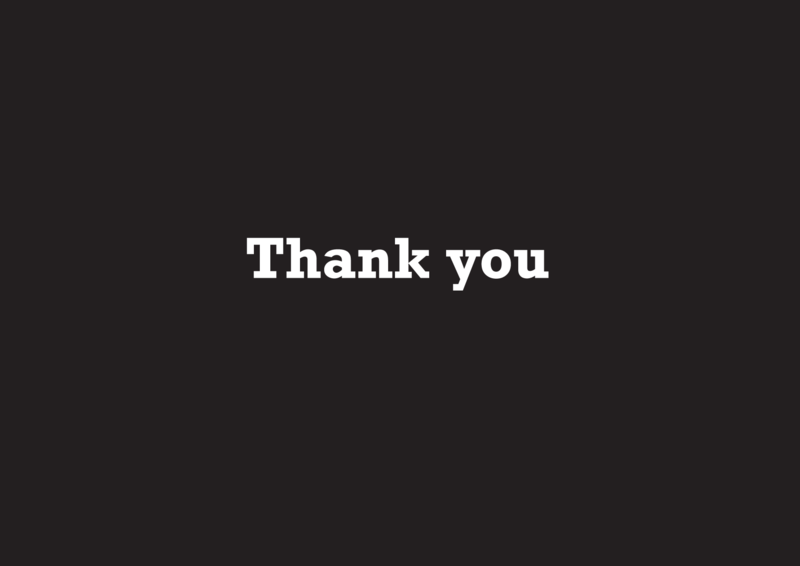 would still feel embarrassed about asking for fashion advice. 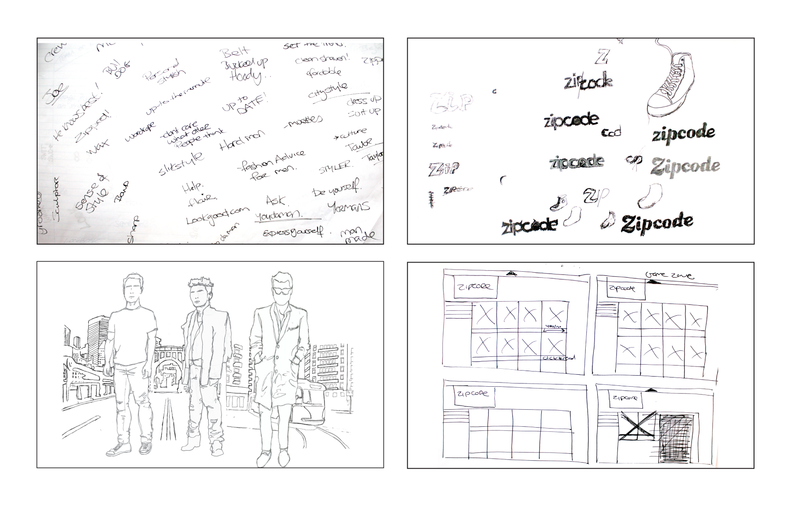 We wanted to connect with the audience with a style of fashion that everyone could relate to. 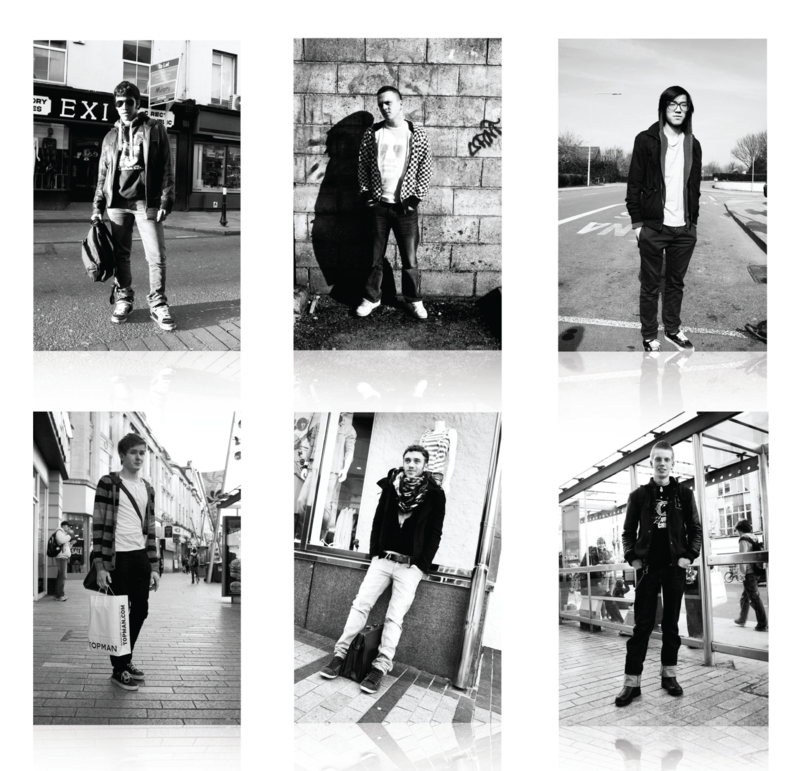 We decided that a street style of fashion would appeal to our target market of 18 - 30 year old men. 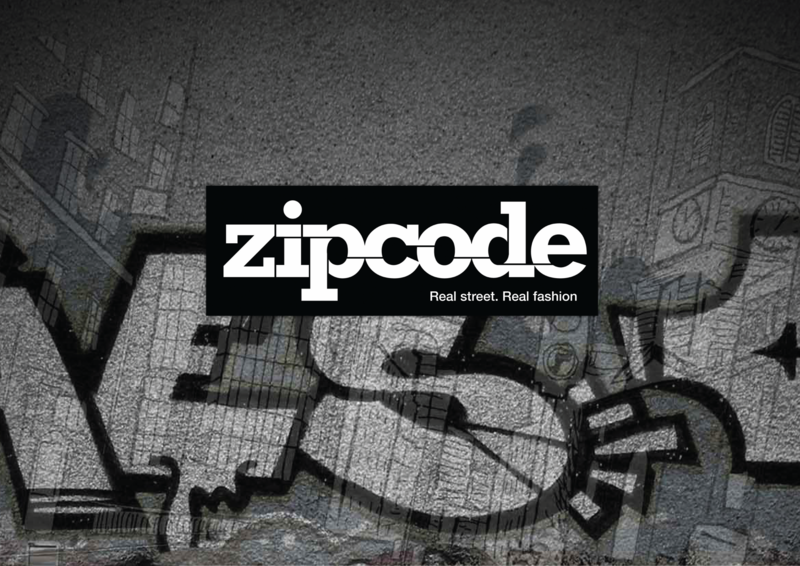 This style of fashion is real and seen everyday on every street in the world. 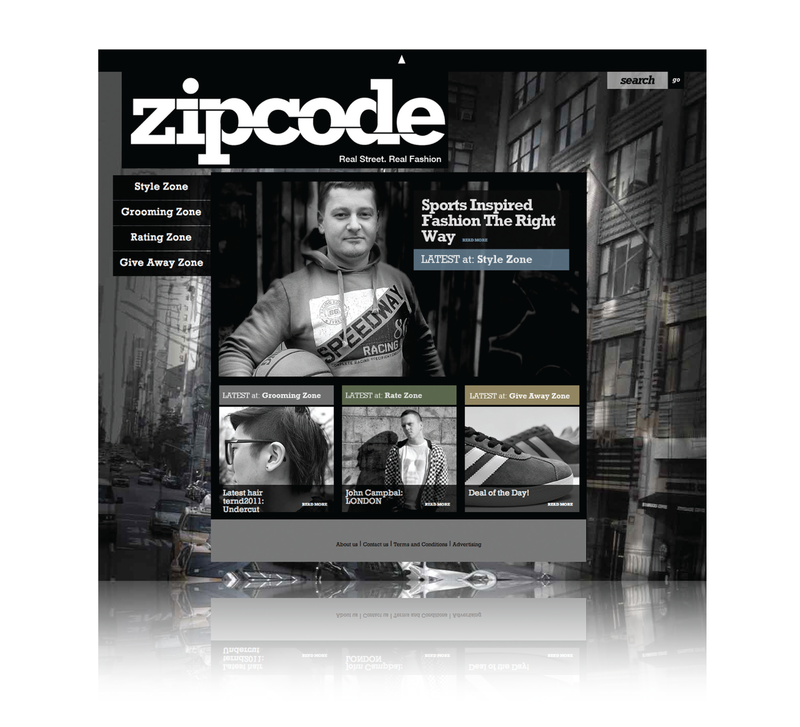 This online magazine provides men with fashion tips and an interactive feature which allows them to make profiles to gain advice and tips from across the world. 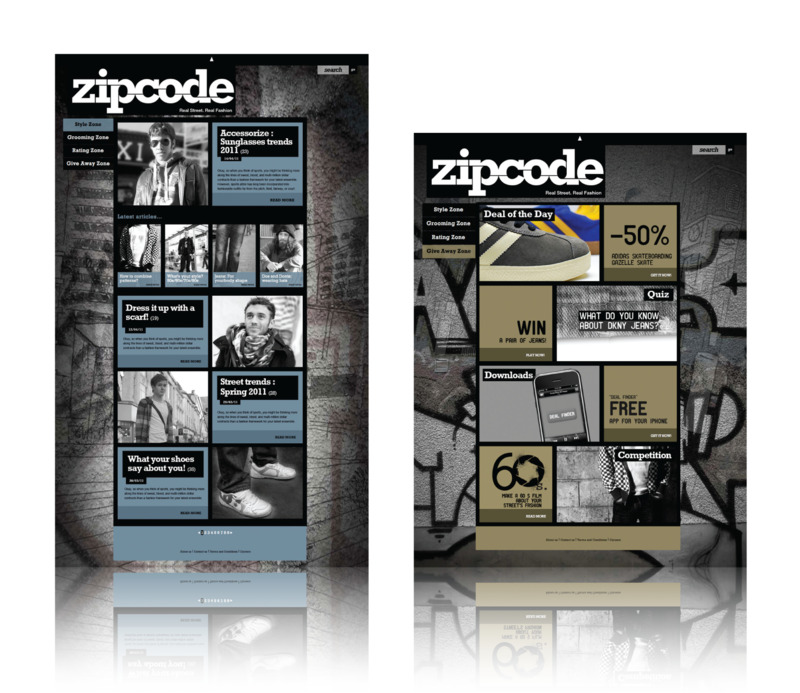 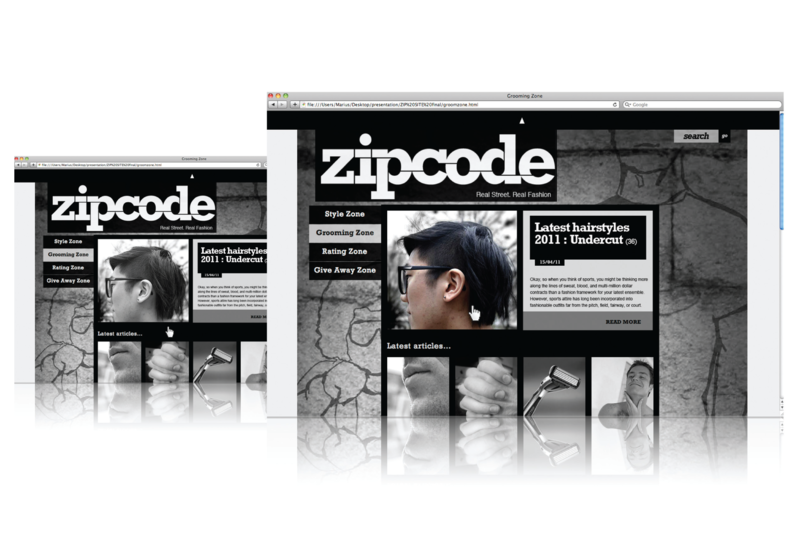 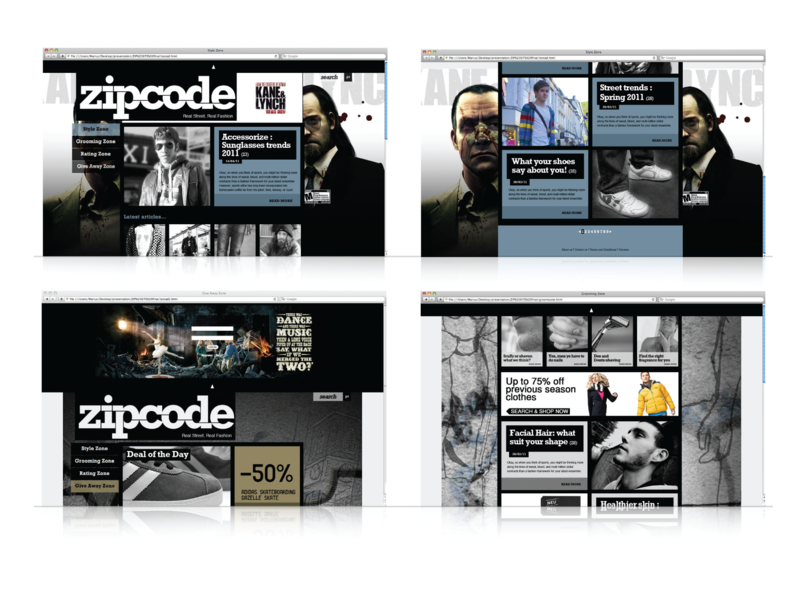 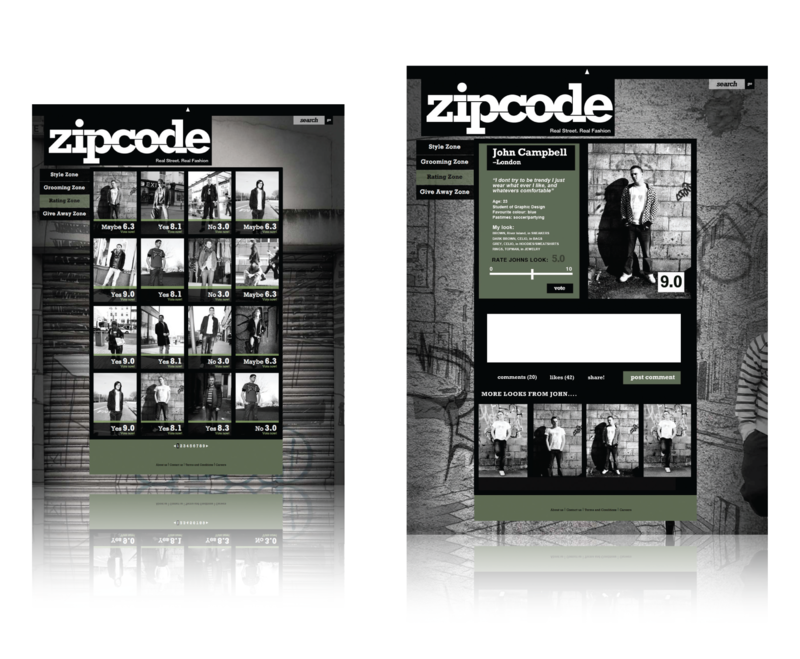 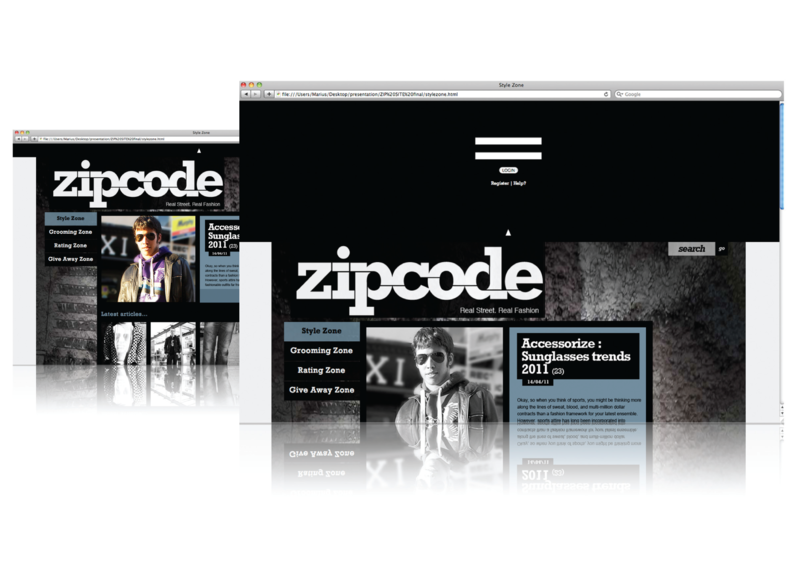 The name Zipcode was chosen as a title for the magazine as it fitted with the concept of our magazine. 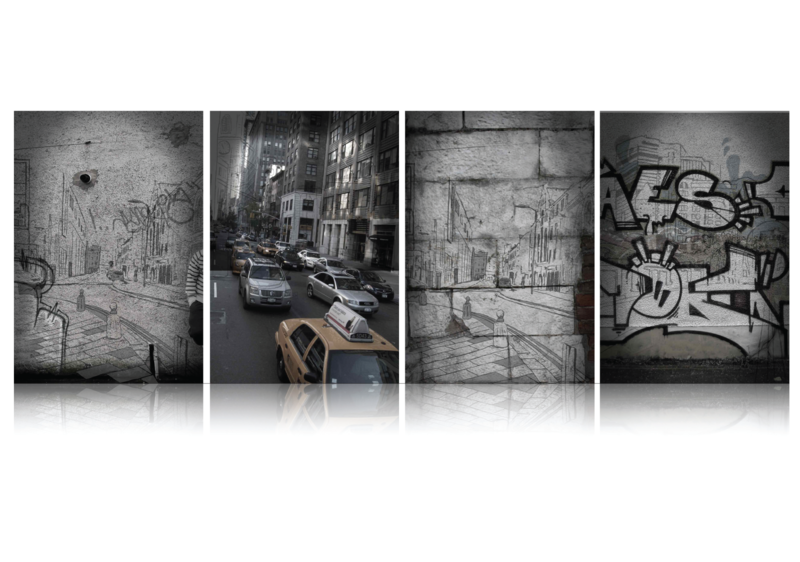 It has a double meaning, in that it expresses where someone is from, and also, when it is broken down into two words, it has parallels with fashion. 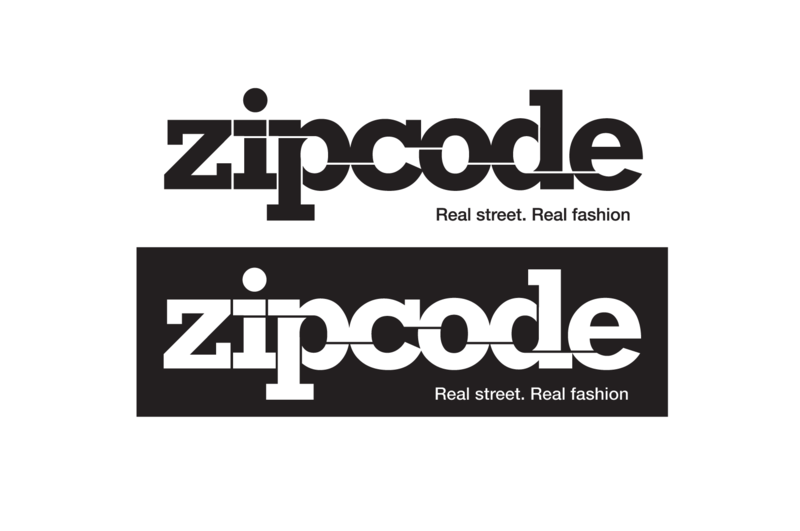 The Logo itself is set in Bold Rockwell to typeface to appear quite manly. 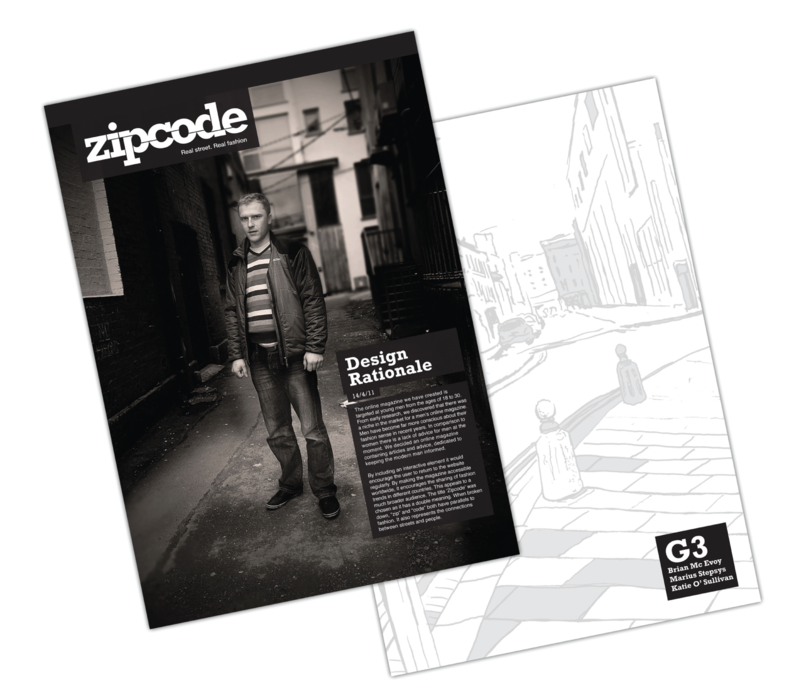 It is also divided into segments reinforcing the idea of different areas and places where people are from.